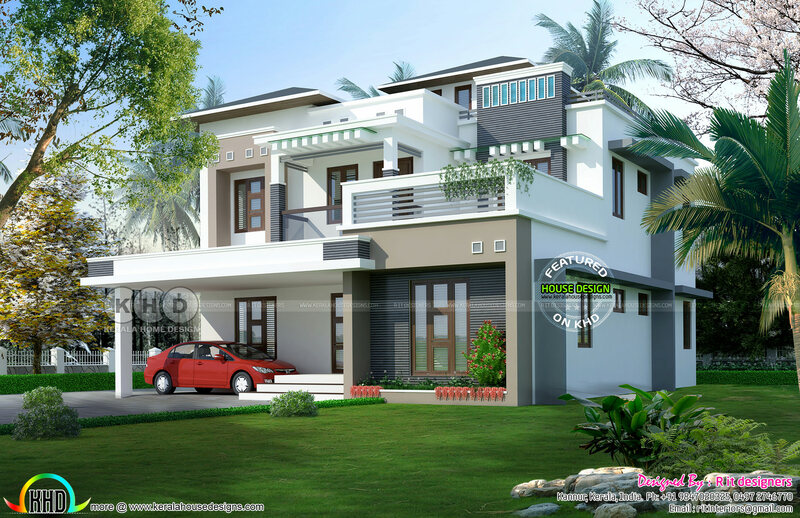 5 BHK contemporary house architecture plan in an area of 2952 square feet (274 square metre) (328 square yard) in 9 cents of land. Design provided by R it designers, Kannur, Kerala. Ground floor area : 1572 Sq.Ft. Second floor area : 130 Sq.Ft. 0 comments on "5 Bedroom contemporary home in 9 cent land"